Isaac Bonewits, noted Pagan author and instrumental voice in the Druidic spiritual movement has passed, August 12th, 2010. You likely heard over the weekend. What we can add is some insight into his Minnesota connections and influence. Magenta, well-known TC Elder, knew Isaac well in the early 70’s and was for a time part of his household. From her recent LiveJournal Entry: “He was a hell of a lot of fun, gave great parties, was a very joyous, humorous, and sensual man. I was part of his household, off and on, from June 1974 until he left town in the fall of 1976. Isaac moved to St Paul, MN in the spring of 1974 to take a position as editor of Gnostica Magazine. He held that position for a couple of years, publishing fascinating material and adding humor, a rare thing in those days. Because of Isaac’s involvement with Llewellyn, his friend Robert Anton Wilson was a guest speaker at the Gnostica Festival in 1974. While Isaac was in the Twin Cities, he started a Reformed Druids of North America grove, which met weekly during the summer half of the year, from Beltaine to Samhain, at the park at the base of the Witch’s Hat Tower. This may have been the first Pagan organization here that was not connected to Witchcraft or ceremonial Magick. He was also active in the local Craft, and was invited to Minnesota Church of Wicca rituals, although he was not formally initiated into the Craft at that time. He participated in the local Church of All Worlds nest. One of my fondest memories of Isaac is him standing outside during a thunderstorm that happened during a Nest meeting. Wagner’s “Ride of the Valkyries” was playing on the stereo, and Isaac (and others) conducted the storm dramatically. For a while, he and his household resided on Marshall Ave, near Concordia College. It was there that Margot Alder visited, during research on what was to become “Drawing Down the Moon”. I have one footnote to that history. The cats were in heat THAT WEEK, but she put their yowling in the book. In 1975, Isaac started a short-lived group called the Aquarian Anti-Defamation League, to defend people involved with Witchcraft, Paganism, Astrology, and related disciplines from harassment and legal prosecution. It may have been the first organization of its kind; it fell apart after Isaac left town. Because of Isaac, his brother Michael, better know as Doc, moved to town in late 1974; Doc was in my coven, Prodea, in its early days, but left to found a more traditional coven, Starfire. He remained a valued member of the community for many years. I, Nels, first met Isaac in 1986-7 when he attended the Pagan Spirit Gathering. The Druids performed the high noon Solstice Rite, and it was the first ritual I experienced in the full light of day. I only spent a brief time with him, but it was clear he was a mix of serious intellectual thought and boisterous whimsy. Isaac’s Minnesota experience helped shape this community. He helped bring a national focus here, and a tradition of historical research. His work with the AADL demonstrated the need and ability to stand publicly, and in the face of opposition for Pagan beliefs. Isaac laid seeds for groups to follow, Keltria arose from a base of Minnesota Druid experience focused here for a time. He crossed many group and belief boundaries, practiced with mirth, and joy, and reverence, maybe his most profound legacy. Note* A public memorial for Pagan elder, author, Druid & ADF founder Isaac Bonewits will be held tomorrow, Saturday, August 21, 2010, from 4-5:30 pm at the First Unitarian Society of Rockland County (FUSRC), 130 Concklin Road in Pomona, New York 10970. Isaac Bonewits is one of North America’s leading experts on ancient and modern Druidism, Witchcraft and the rapidly growing Earth Religions movement. A practicing Neopagan priest, scholar, teacher, bard, and polytheologian for over 35 years, he has coined much of the vocabulary and articulated many of the issues that have shaped the rapidly growing Neopagan community in the United States and Canada, with opinions both playful and controversial. As the author of several books including Real Magic, Authentic Thaumaturgy, Witchcraft, Neopagan Rites, and The Pagan Man, numerous articles, reviews and essays, many songs and albums, and “spellbinding” lectures, he has educated, enlightened and entertained two generations of modern Goddess worshippers, nature mystics, and followers of other minority belief systems, and has explained these movements to journalists, law enforcement officers, college students, and academic researchers. Isaac is the Founder and Archdruid Emeritus of Ár nDraíocht Féin: A Druid Fellowship (the best known Neopagan Druid organization based in North America), a 3° Druid within the United Ancient Order of Druids (the best known Mesopagan Druid order), a retired High Priest in both the Gardnerian (“British Orthodox”) and the N.R.O.O.G.D. 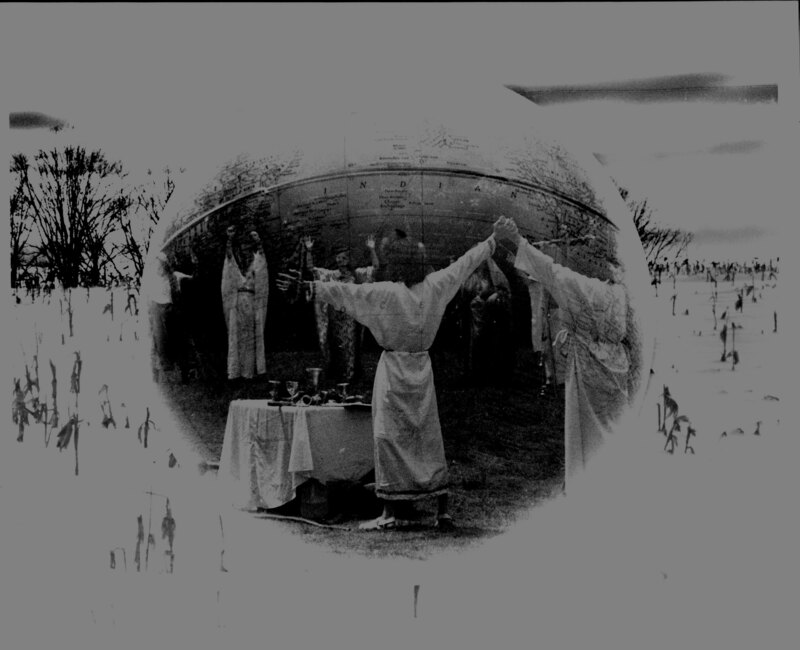 (“California Heterodox”) traditions of Wicca (Neopagan Witchcraft), an initiate of Santeria (Afro-Cuban Mesopaganism) and the “Caliphate Line” of the Ordo Templi Orientis (Aleister Crowley’s Mesopagan magical tradition), as well as a member of other Neopagan and Mesopagan Druid orders. He has been a member of the Covenant of Unitarian Universalist Pagans (CUUPS) for three years. Having survived four previous spouses (and vice versa), on July 23, 2004 he was handfasted to CUUPS co-founder, tarot expert, writer, and Wiccan Priestess, Phaedra Heyman Bonewits (hope springs eternal).